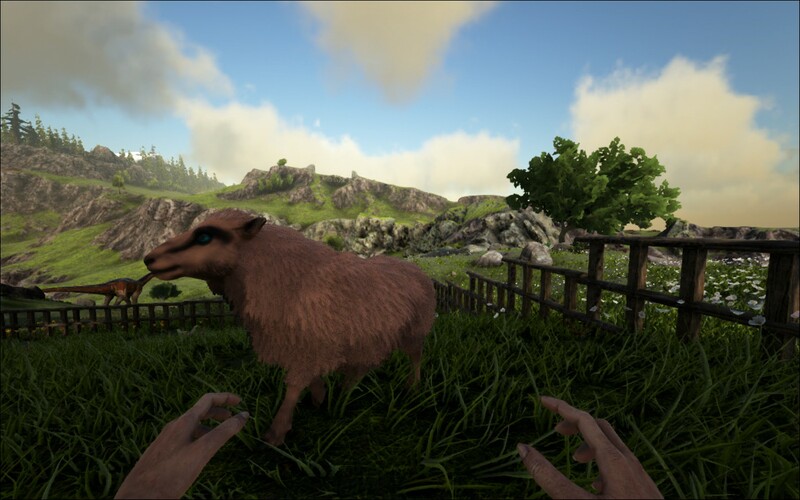 More about our activities in the Highlands of the Ragnarok map in Ark: Survival Evolved! I showed you the horses we tamed before. They took up residence right next to the lighthouse, which is the beacon for our new home. 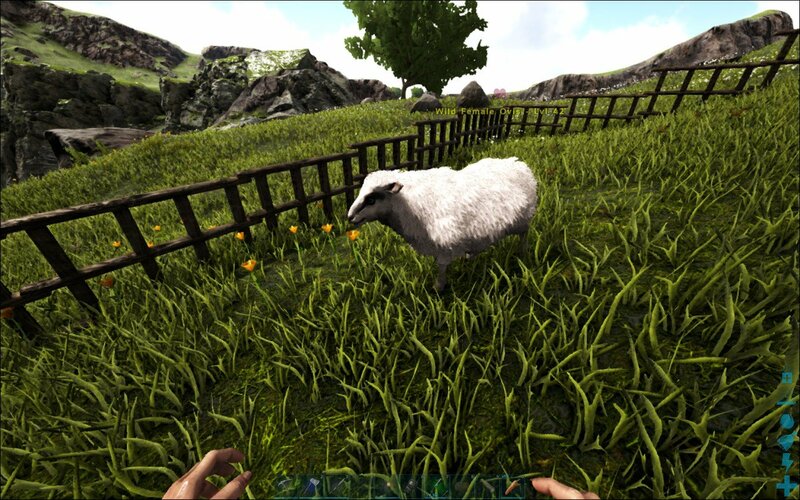 Below the lighthouse are grassy hills and close to home, we build a little sheep pen on the grass. 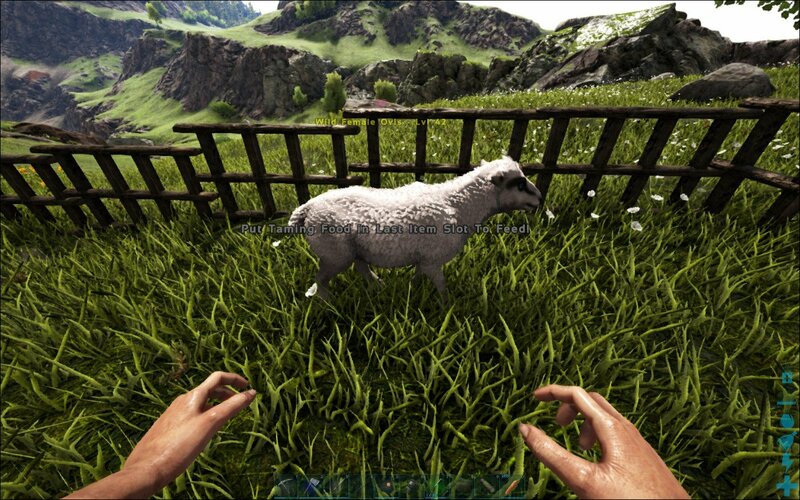 My boyfriend was eager to get some sheep, because you can cut them for wool. Once you have enough of that, you can make a set of warm clothes to wear when you want to explore icy lands! With scissors! Before you know it, the sheep is left without wool and we’ll wait until it grows back again. 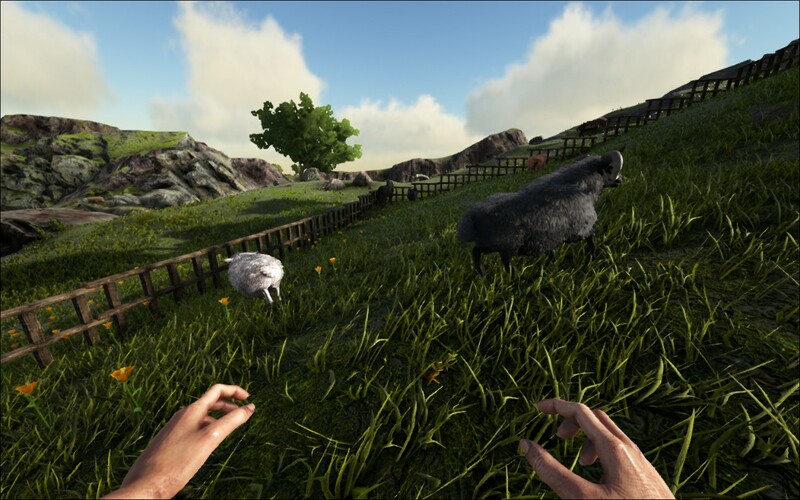 Now we didn’t tame these sheep. They aren’t actually ours, but still wild sheep. We picked them up with our big birds and dropped them into the enclosure to make sure they would stay with us. You need things certain items to tame them, which we don’t have yet. It’s okay, this works fine for now. 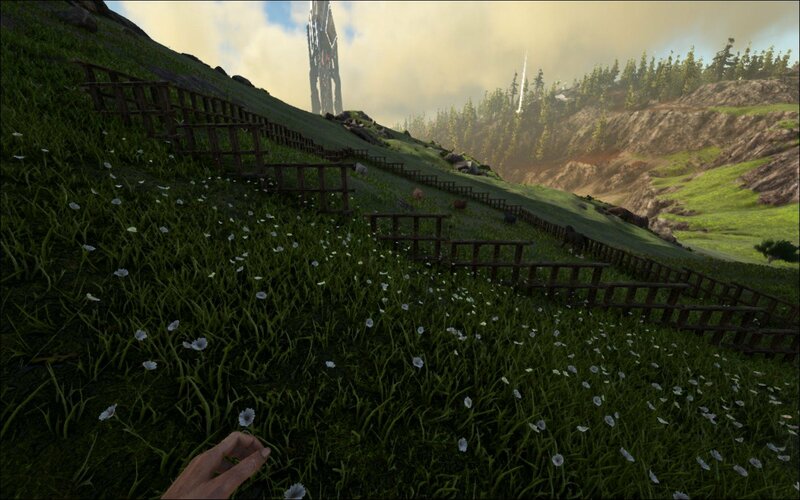 My idea was to tame plenty of horses and drop them in there aswell, simply because it would look awesome! It’s just that horses are able to walk over the fence. It’s not easy for them to escape, but they can. I don’t think I mind too much though, rather have that than raise the fence. It would look ugly! 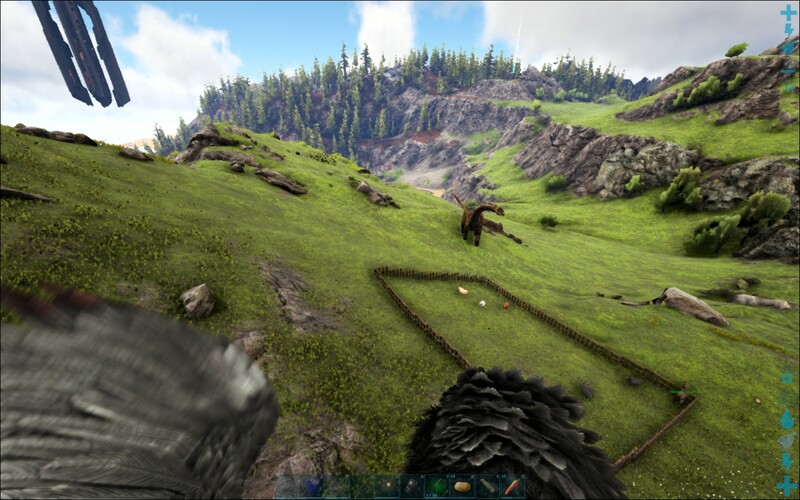 We’ve got a few other dinos tamed and they are free to roam, so I’ll be fine with horses roaming free too. Available in many variations here*, here*, here* and here*. *These are affiliate links. If you make a purchase through these links, I will earn a little extra as an addition to my small designer fee.